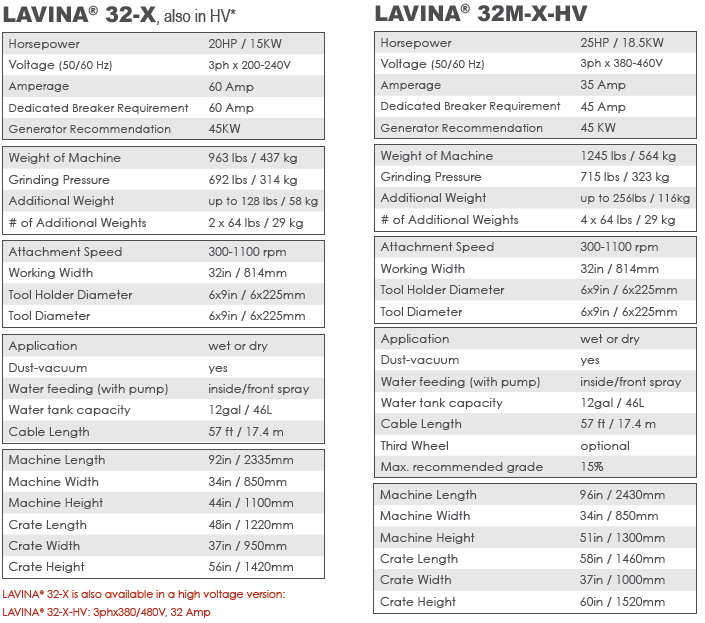 The 20 HP LAVINA® 32-X is our heaviest and most powerful machine, featuring six 9-inch heads and forced planetary movement, making it an ideal solution for large commercial projects. This model is most commonly ordered as a 'high voltage' unit (380/480 Volt), but is also available in 220 Volt. ** Please note that the new X model can now be used for grinding and polishing with three heads (for more aggressive cutting) or all six heads. Click the button below to add the Lavina 32-X Grinder to your wish list.